Dr. Sharla King is an Associate Professor in the Department of Educational Psychology and Program Director for the Master of Education in Health Sciences Education program. Dr. King serves as the Director of the Health Sciences Education and Research Commons (HSERC). HSERC is a shared educational resource of the health science faculties focused on health science scholarship in interprofessional team-based education at the pre-licensure and post-graduate levels and the effective use of educational technologies, such as simulation learning environments using mannequins and standardized patients. HSERC provides simulation services to faculties and community members. Dr. King has worked in the area of interprofessional education and research at the University of Alberta for over 10 years. Her research interests relate to interprofessional education (pre-licensure and post-graduate), blended learning, simulation education and healthcare technologies in education. 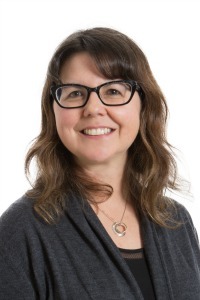 Currently she is working on a pan-provincial collaborative project with Bethany Care and the Institute for Continuing Care Education and Research examining the use of learning circles as a means to improve quality of care in continuing care workplaces.